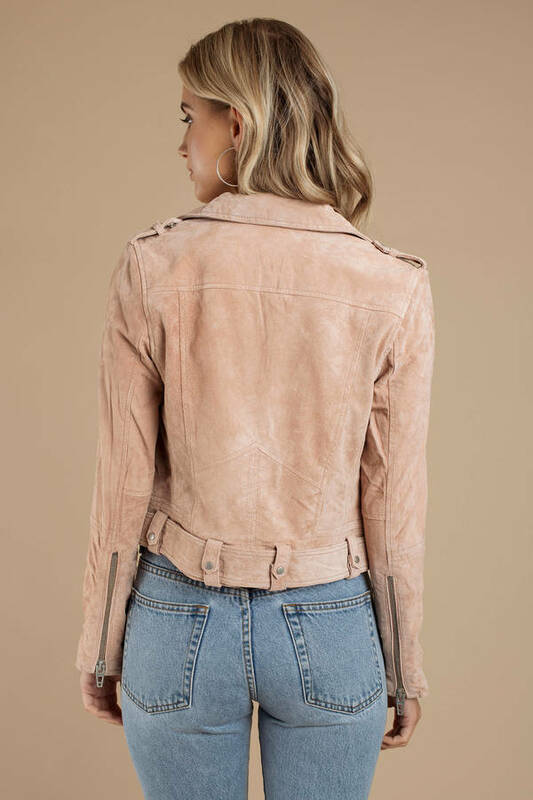 Check out Tobi's White Sand Suede Moto Jacket Let Blank NYC's See You Later Suede Blush Moto Jacket ring in the cooler season. 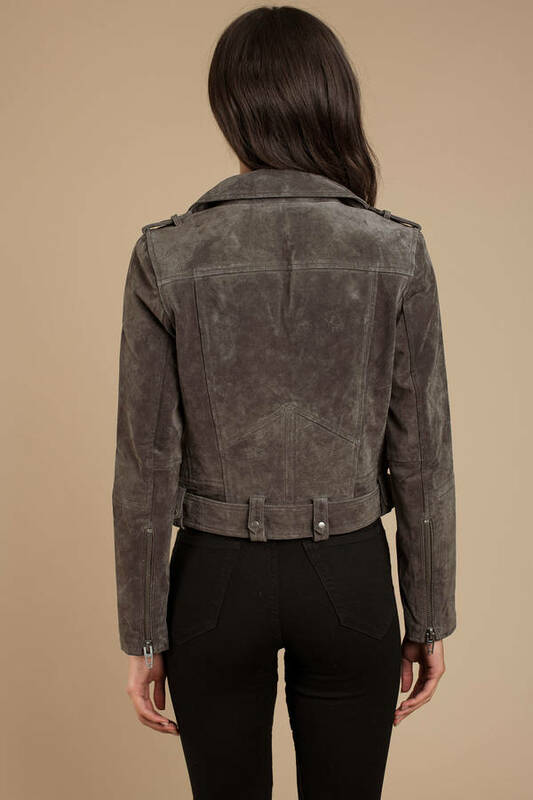 This suede zip up jacket features a structured lapel, zipper detailing on the sides and arms, and a buckle belt to finish things off. Watch the leaves change in this stylish moto jacket, and pair with skinny jeans and boots!